Lily Tomlin, the 2017 SAG Life Achievement Award recipient, has added another title to her list of accolades – children’s literacy advocate. The SAG-AFTRA Foundation's children’s literacy program Storyline Online (storylineonline.net), sponsored by the Entertainment Industry Foundation, has released its newest video featuring the five-time Emmy Award winning actress, producer, and singer reading Hey, That’s My Monster, written by Amanda Noll and illustrated by Howard McWilliam. Storyline Online streams free videos featuring acclaimed actors including Kevin Costner, Allison Janney, Christian Slater, Ed O'Neill and Mary Steenburgen reading children’s books alongside inventively animated, original illustrations. With over 12 million views every month, Storyline Online has brought the love of reading to hundreds of millions of children, and is available 24 hours a day at no cost to children, parents, and educators worldwide. Each video comes with supplemental curriculum for both home and school, aimed at strengthening verbal, written and comprehension skills in children grades K-5th grades. The sequel to Scholastic Book Club Selection I Need My Monster, Hey, That’s My Monster tells the story of Ethan and Emma – two young siblings who bond over their experience dealing with the world of monsters residing under their beds. The Storyline Online video library also includes Noll’s original I Need My Monster, read by 2014 SAG Life Achievement Award recipient Rita Moreno, with almost 8 million views. 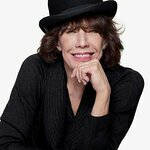 At the 23rd Annual Screen Actors Guild Awards on January 29, Lily Tomlin will become the 53rd recipient of the SAG Life Achievement Award, which honors acclaimed performers for encouraging the exemplary values of the acting profession. With Hey, That’s My Monster, Lily joins fellow SAG Life Achievement Award recipients Rita Moreno, Ernest Borgnine, Betty White and James Earl Jones on Storyline Online’s growing list of readers. The SAG-AFTRA Foundation is the benefiting charity of the annual SAG Awards. Proceeds from the annual show and auction series support the Foundation’s programs including Storyline Online. To watch Lily Tomlin read Hey, That’s My Monster and to view all of the Storyline Online videos, visit storylineonline.net. Several new videos will be released in 2017.